Gifts given to a permanent endowment fund at the Community Foundation of Northeast Iowa benefit our communities forever. We invest these gifts we receive so they grow and maximize the resources available in order to address community needs. CFNEIA's investment objective is to develop, implement and monitor prudent investment management of the Foundation's capital market assets in order to secure, over time, acceptable inflation and risk-adjusted total rates of return for both the total fund and the individual asset classes authorized for investment. These returns must be consistent and competitive in order to fund the Foundation's annual grantmaking and operating expenses, to preserve the asset base, and to enhance the asset base through capital appreciation.  The Community Foundation of Northeast Iowa is confirmed in compliance with National Standards for U.S. Community Foundations. This means we meet the nation's highest philanthropic standards for operational quality, integrity and accountability according to the Community Foundations National Standards Board. Long-Term Emphasis: The focus is on steady growth that minimizes risk to build perpetual resources, rather than attempting to change strategy based on short-term market conditions. Economies of Scale: Funds are co-mingled for investment purposes to leverage efficiencies. This allows modest-sized funds access to sophisticated investment vehicles that might not otherwise be possible. Broad Diversification: Our mix of asset classes is frequently reviewed. This diversification increases the likelihood of meeting or exceeding the fund's desired return over varying economic and market cycles. Customized Accounting: Each fund is tracked individually. Fund statements are available to fundholders with detail of fund activities.